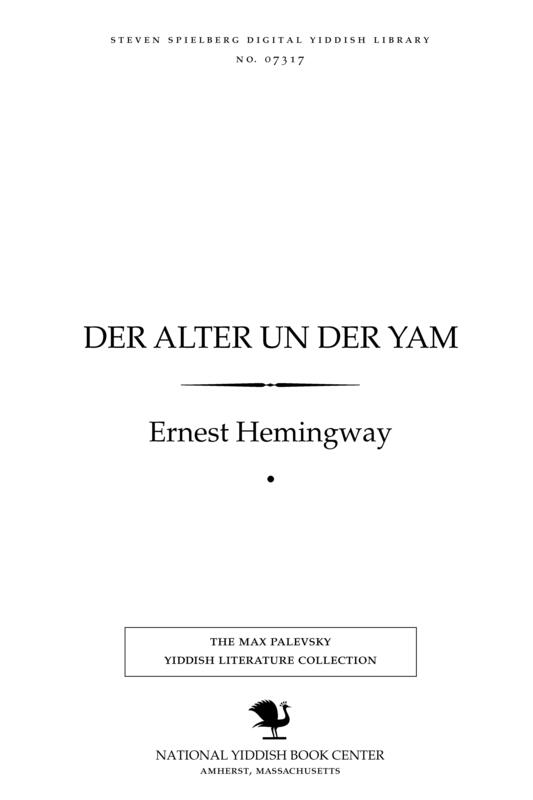 1 edition of Der alṭer un der yam found in the catalog. Add another edition? Are you sure you want to remove Der alṭer un der yam from your list? Published 1958 by Der Ḳṿal in Nyu-Yorḳ] . Translation of: The old man and the sea. Limited ed. of 1,105 copies. Electronic reproduction. Amherst : National Yiddish Book Center, 2000.